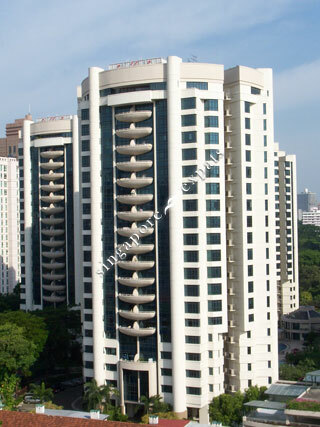 Valley Park condominium is centrally located at the prestigious district of River Valley Road. It is near to the row of shophouses along River Valley Road consisting of coffee shops, convenience stores, restaurants. There is also Valley Point Shopping Mall beside the development. This condo is within 5 minutes drive from Orchard Road, 10 minutes from Raffles Place. The popular Great World City Shopping Centre and Zion Road food centre is also close by with a string of other eateries along the main roads. Its facilities are a wow factor to many expats including a clubhouse, gymnasium and a big resort pool. Pros: This condo is a value buy with plenty of attractive attributes - 999 status, large land plot, units are much bigger compared to new devts, full facilities, grand airconditioned lobby, good security, strong local family and expat vibes. Amenities and public transport aplenty. Park connector, Orchard, Clarke Quay, oldschool Tiong Bahru district are only a stone throw away. Condo exteriors have undergone repainting and swimming pool toilets newly refurbished, etc. The maintenance effort and landscaping care is great. Not to mention upcoming Great World City mrt is minutes away from condo sidegate. Enbloc potential - only if owners are willing to forsake the good living environment. Cons: the individual units might require some sprucing up and renovation given that it is not a new dev(20 years) (but it’s worth every bit effort). Love that its next to the park connector. My kids aged 8 and 10 love to go cycling along the park connector which brings you past Robertson/Clarke/ Boat Quays all the way to Gardens by the Bay and even to Eaat Coast Park. Facilities are amazingly comprehensive for kids. They have lots to do with the huge pool, tennis and squash courts, basketball court and playground. You won't have them cooped up at home with the screens all day. Shower rooms at the pool area are newly renovated. Both male and female toilets have a steam room and a sauna. Buildings have been newly painted and lifts are new as well. The air conditioned grand lift lobbies are make you feel very welcome every time you come home. Not to mention the convenience of having Great World City and Valley Point at your doorstep. Lots of buses bring you everywhere in Singapore and the Great World MRT will be up in 2 years time. Apartments are spacious. 3 bedrooms around 1700sf and 2 bedrooms around 1200sf. This is a great place to live in for a long time. Only downside to the place? Its 20 years old so some apartments are in need of work. Renovated units would be preferred. Great view, peaceful environment. A home that you want to come back to. Condo with excellent facilities and a lot of land space. Well-maintained. Lovely environment which is quiet, while near to town and 2 malls (Great World City and Valley Point). This condo has everything - space, facilities, convenient location. I can even take a slow walk to Orchard Road if I feel like it, otherwise it is a 5 minute bus ride. Great World City which is a 5 minute walk away has everything I need - a big supermarket, many restaurants and cafes, retail therapy, children's classes, gym. Once you stay here it is hard to want to stay elsewhere in Singapore. Only issue is that the condo is ageing, but if you get a good renovated unit, it won't be a problem.